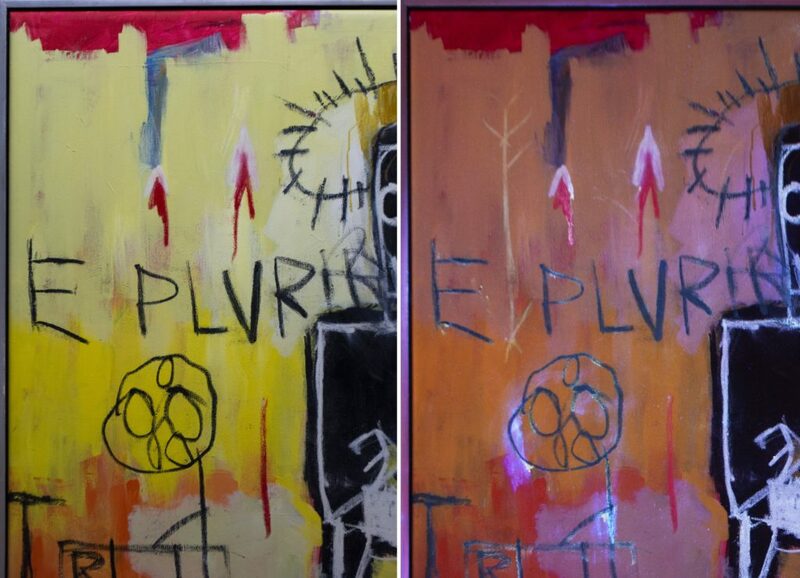 In fact, this isn’t the first time Basquiat has been known to use fluorescent UV materials. In 2012, Sotheby’s London discovered that his painting Orange Sports Figure from 1982—done just months after the one Macdonald-Korth analyzed—contained an invisible-ink signature of the artist’s name in the bottom right corner. 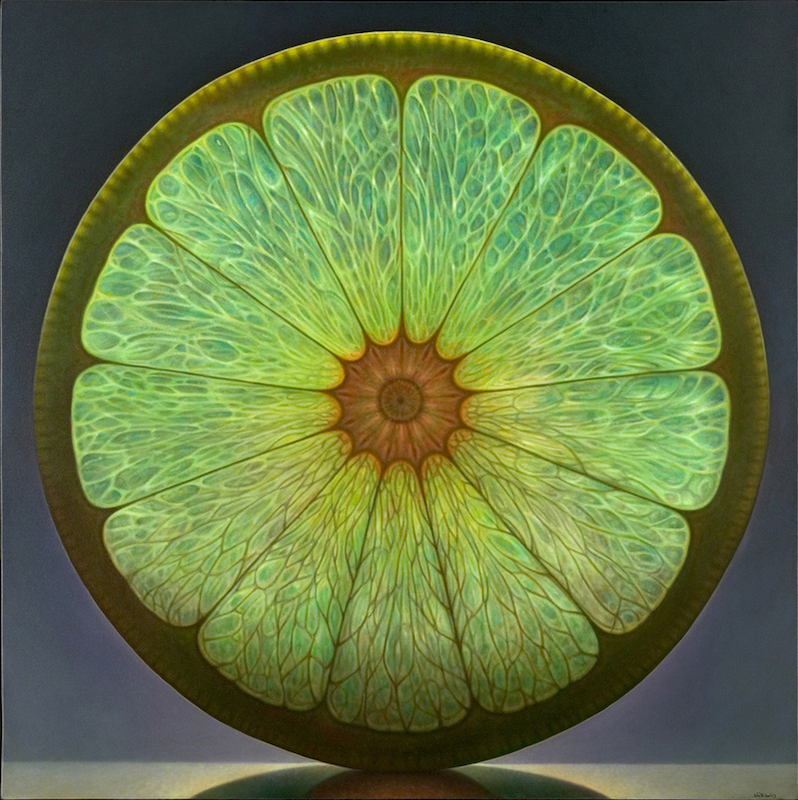 But he has never been known to include UV-specific imagery in his work. 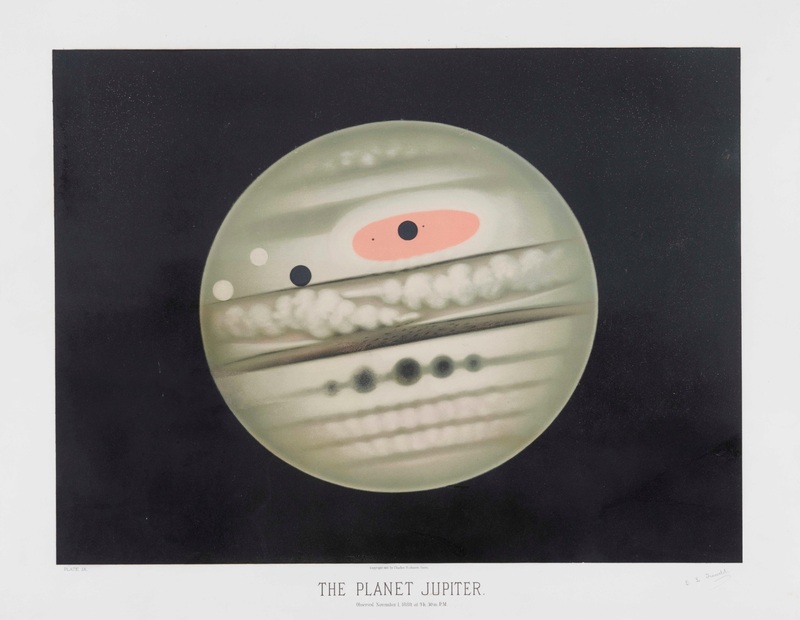 Initially, the Astronomical Drawings portfolios were sold to astronomy libraries and observatories as reference tools, but as early 20th-century advances in photographic technology allowed for more accurate and detailed depictions of the stars, planets, and phenomena, Trouvelot’s prints were discarded or sold to collectors. The results are surreal. Barrat posted many of the final pieces of artwork -- which can only be described as surreal, blobby, swirly naked women -- on Twitter. 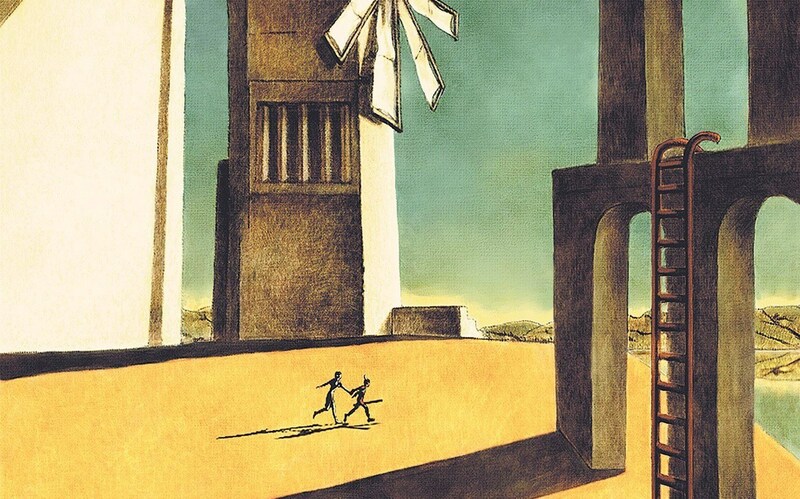 It's almost like a very intoxicated Salvador Dali and a dizzy Picasso joined forces to make art. 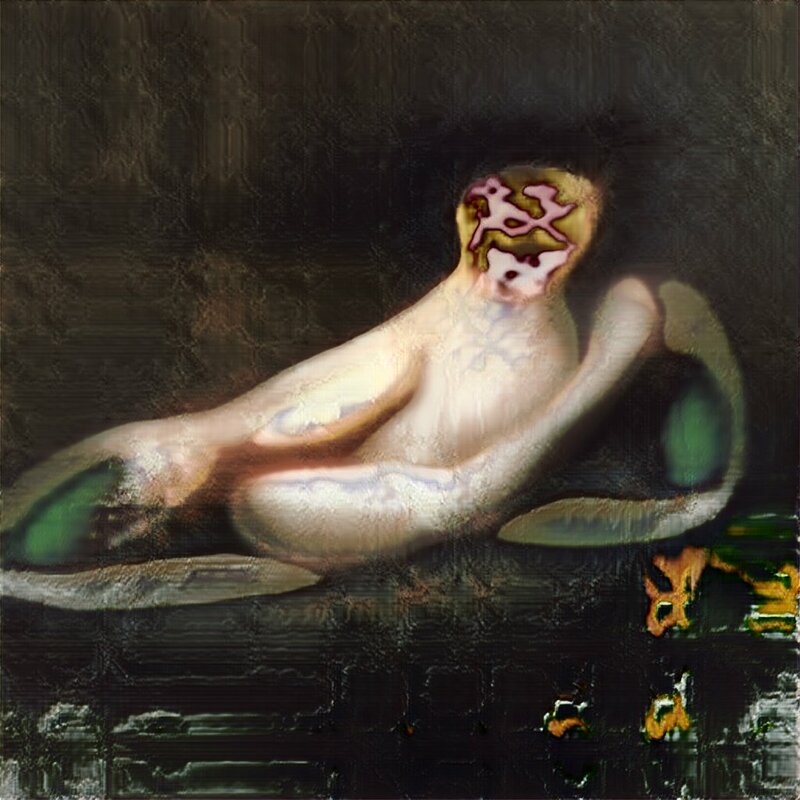 ...Barrat's AI-assisted artwork isn't exactly sensual. In fact, most of the nudes look like they are melting on a very hot day. "The way that it paints faces makes me uncomfortable. It always paints them as like, purple and yellow globs -- that isn't in the training set so I'm actually still not sure why it does that. I don't like looking at those heads, I really don't. 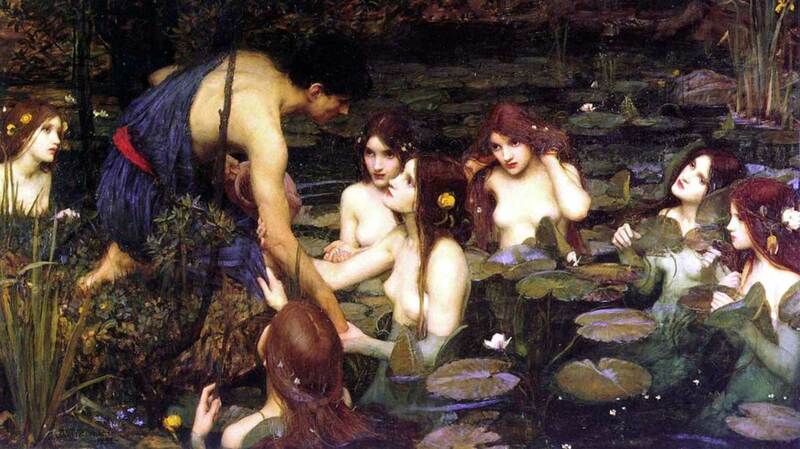 On the night of January 26, the gallery team and invited collaborators took over the gallery and removed the pre-Raphaelite painting Hylas and the Nymphs (1869) from the wall, as well as postcards of the painting from the shop. 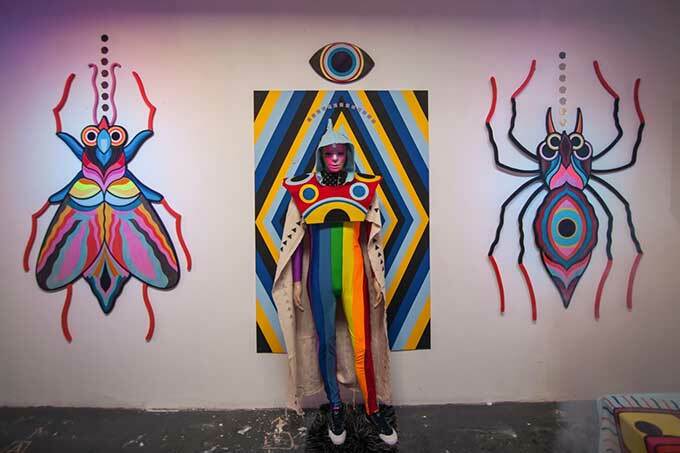 The stunt was filmed as part of a new artwork by Sonia Boyce, who is exploring “gender trouble” in the paintings and wider culture of the 19th century. The full film of the action will be shown in her upcoming retrospective at the gallery, which runs March 23 through September 2. Gannaway also described the painting—and others like it—as old-fashioned for depicting women "either as passive beautiful objects or femmes fatales." She said there were "tricky issues about gender, race and representation." It's a bit unclear what exactly the problem is here, but the curator seems to be suggesting the girls are too white, and too naked. 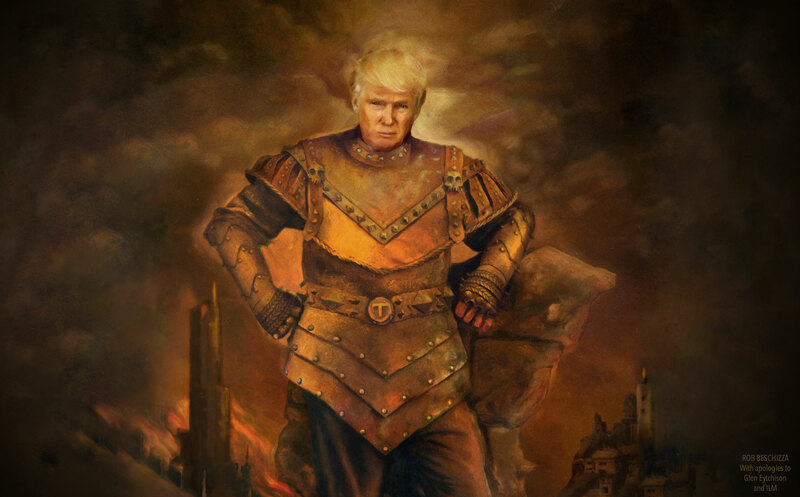 I have not seen this painting before. 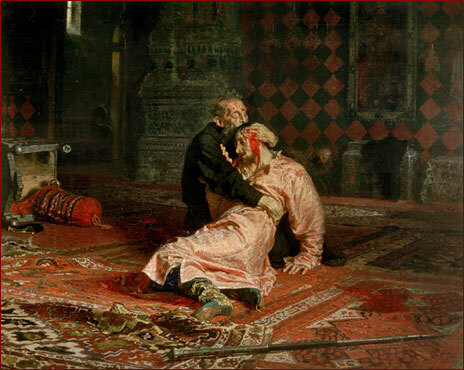 It's called Ivan the Terrible and His Son Ivan on 16 November 1581, and was completed in 1885 by Ilya Repin. It took three centuries before this scene was committed to canvas with the gravitas and horror it deserved. The man who proved himself able is arguably Russia’s best-known painter, certainly its best-known Realist painter. That man was Ilya Yefimovich Repin, who returned to historical painting in 1885 to complete ‘Ivan the Terrible and His Son Ivan’. 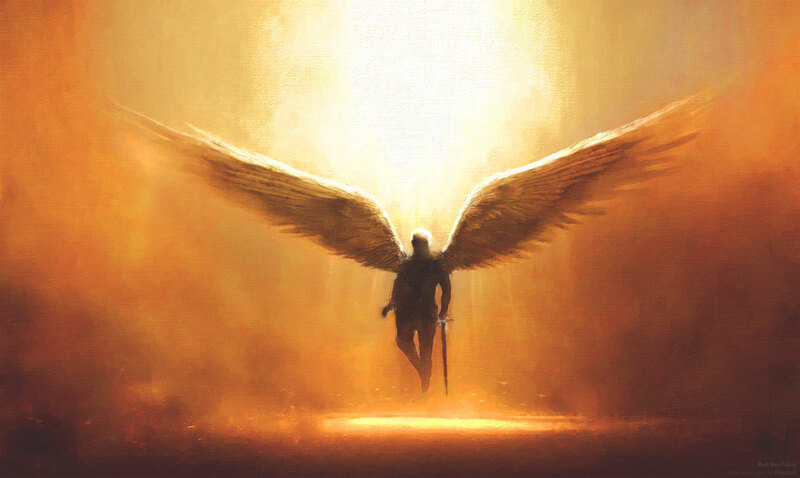 It is to my mind one of the most haunting pieces of art ever created. The differences between the Realist style used here and the idealised, unrepresentative portraiture of the day is exaggerated hugely by the savagery of this piece. 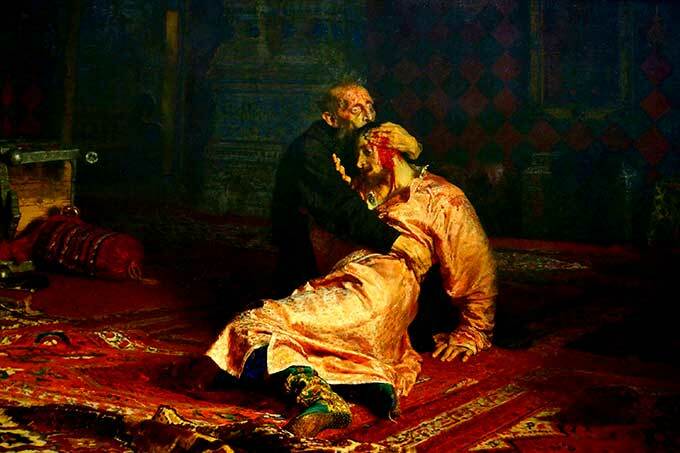 Repin chose to paint the exact moment of Grozny’s revelation; the awful moment of stillness after the manslaughter of his heir. The two men, one living, one dead, are presented alone in a room whose fire-lit warmth gives the lie to the scene and its circumstances. That warmth, and its crimson finery is ironically juxtaposed with the blood on young Ivan’s head, which is the brightest red here, and the rich, geometric-patterned drapery in the background forms another contrast with Ivan’s curved, inanimate body, fading into nothingness before the grisly focus of the scene. There is evidence of a struggle; furniture is upended, and Ivan’s leg has disarrayed the silk rug beneath their feet – but now all is still. 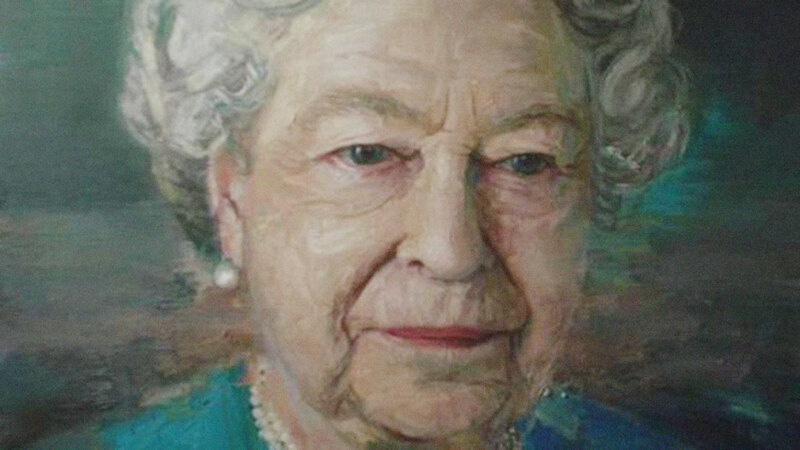 Irishman Colin Davidson painted the new official portrait of Queen Elizabeth II. 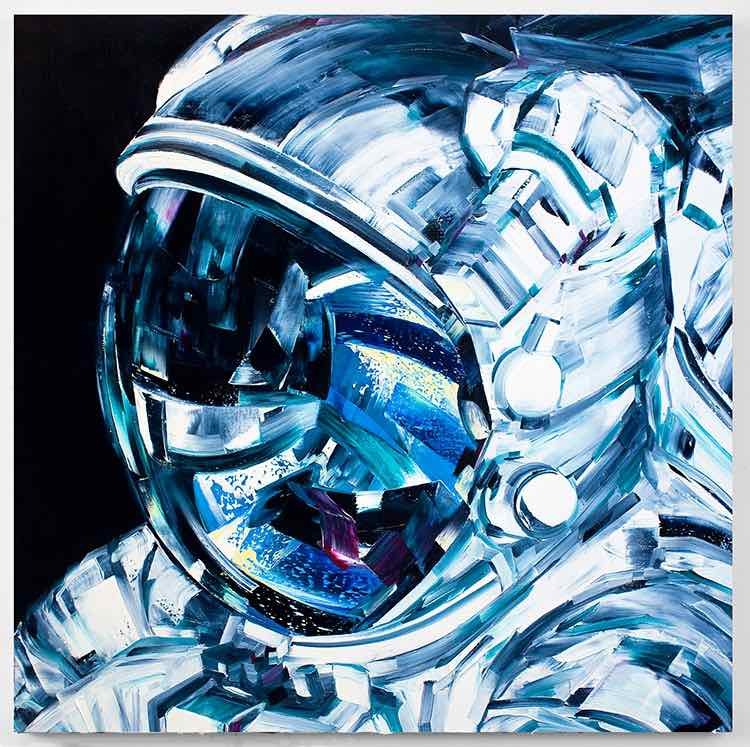 "With anybody I paint, it's a human being in their own right, but with this particular painting I was aware of the gravity and sheer importance and weight which comes with the person I was painting." One of the most indelible images in art is Vincent van Gogh’s portrait of his bedroom in the Yellow House in Arles, France. I’m sure you’ve seen it dozens of times. You can learn more about it in an article on the website of the Van Gogh Museum in Amsterdam. He painted three versions, the second of which in 1889, less than a year before he committed suicide at age 37. It hangs in The Art Institute of Chicago (worth a trip to the city, by the way, all on its own). Amazingly, the Art Institute has recreated the bedroom in full size and is taking reservations for it on airbnb for only 10 bucks a night! To be able to walk into one of the most famous paintings in the world must be quite an experience. 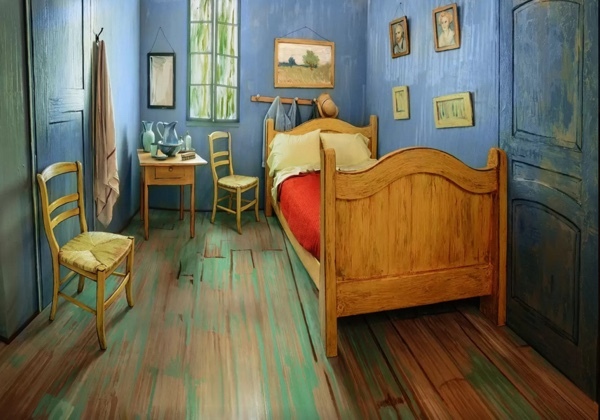 It’s part of an exhibition in which all three versions of “The Bedroom” are exhibited together for the first time: van Gogh’s Bedrooms features approximately 36 works by the artist, including paintings, drawings, and illustrated letters, as well as a selection of books and other ephemera known to have been in van Gogh’s possession. Enhancing the exploration of the artist’s works and his longing for a place of his own are several engaging interactive presentations. A digitally enhanced reconstruction of his bedroom allows viewers the chance to experience his state of mind and the physical reality of the space that so inspired him, while other enriching digital components bring to light significant recent scientific research on the three Bedroom paintings. One of Pablo Picasso's most famous works, The Blue Room, was painted over an earlier work now revealed by infrared imaging. The hidden image, of a large man in formal attire resting on his hand, would have been created early in the artist's career, reports The Associated Press. 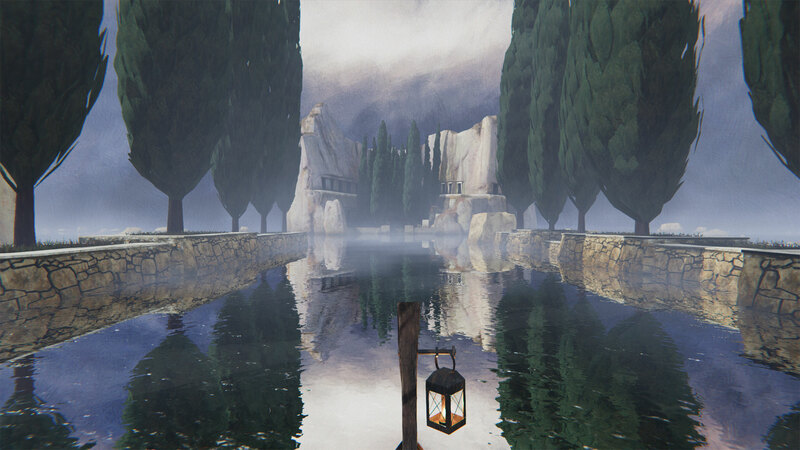 Though the existence of an earlier work beneath The Blue Room was long-suspected, it took years to develop techniques to expose it in detail. Earlier X-rays showed an image so "fuzzy" it wasn't even clear that it was a portrait. Now there's a new mystery: The identity of the subject himself. Scholars are researching who the man might be and why Picasso painted him. They have ruled out the possibility that it was a self-portrait. One candidate is Paris art dealer Ambrose Villard, who hosted Picasso’s first show in 1901. But there is no documentation and no clues left on the canvas, so the research continues. Ms Favero has been collaborating with other experts to scan the painting with multi-spectral imaging technology and X-ray fluorescence intensity mapping to try to identify and map the colours of the hidden painting. They would like to recreate a digital image approximating the colours Picasso used. Curators are planning the first exhibit focused on The Blue Room as a seminal work in Picasso’s career for 2017. It will examine the revelation of the man’s portrait beneath the painting, as well as other Picasso works and his engagement with other artists.